One of the most rewarding “AHA” moments of bioprinting is seeing your cells proliferate within a 3D tissue. 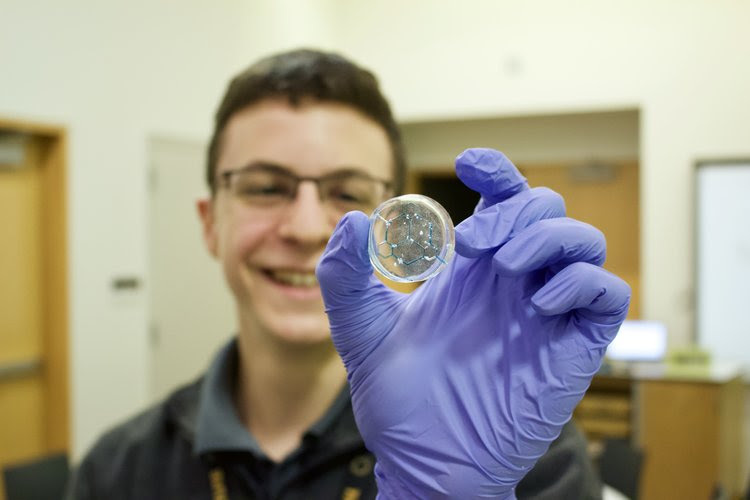 As 3D bioprinting becomes more widely adopted within the fields of tissue engineering and personalized medicine, it is important that researchers have the ability to monitor cell activity within in a 3D structure AFTER the print is finished. Our most recent Allevi Authors have tackled the method of electrochemically monitoring a tissue in their new paper out in the Analytical Sciences Journal titled, “Electrochemical Imaging of Cell Activity in Hydrogels Embedded in Grid-Shaped Polycaprolactone Scaffolds Using a Large-scale Integration (LSI)-based Amperometric Device”. In their paper, researchers from Tohoku University in Japan use their Allevi 2 bioprinter to print PCL scaffolds as a support material for photocured hydrogels. They then used an amperometric device to electrochemically monitor the living cells. Through their study, they were able to determine that electrochemical imaging is a great way to monitor cell differentiation and will be useful for evaluating the viability of thicker bioprinted tissues. Congratulations to the Tohoku University researchers on their findings! At Allevi, we believe that the democratization of bioprinting can help millions lead longer and healthier lives. By empowering scientist to make complex, relevant, personalized 3D tissues so many breakthroughs will be achieved within healthcare and humanity. And we are at the heart of catalyzing this change. We have already seen so much success from our users bringing to life new ideas. They have shown us how patterning cells and biomaterials in new ways can generate scientific results unseen before. For example, Dr. Binatta Joddar from the University of El Paso Texas published how the difference between lattice and rectangular sheet structures matter for cardiac tissue engineering. On that same note, Dr. Parr and Dr. McAlpine from The University of Minnesota published how the specific placement of iPS neuron cells in relation to supporting cells matters to achieve relevant spinal cord tissue engineering. And these are just a few examples out of the multitude of papers being created by Allevi products. As Allevi’s publication list grows, we are excited to begin to understand how we can translate these relevant scientific results into impactful products for the benefit of patients. However, we understand that to help millions in the future we have to continue learn from those who have helped millions in the past. 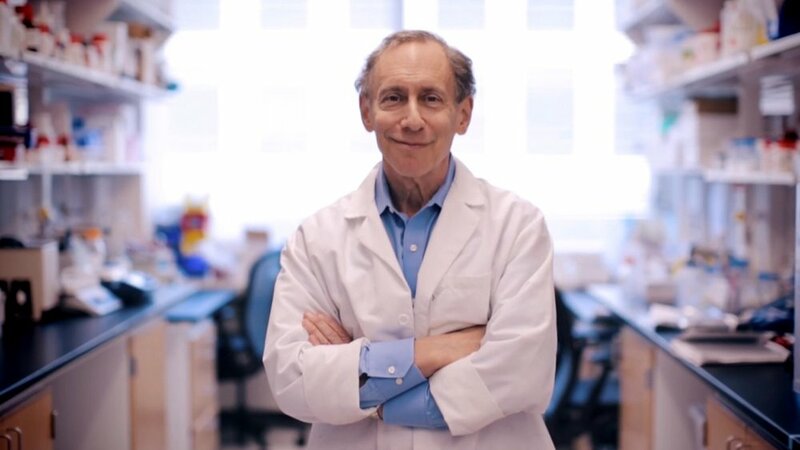 Therefore, we are excited to announce Dr. Robert Langer has joined our Scientific Advisory Board to teach us the fundamentals of how he has translated so many breakthroughs to patients and created new industries. Dr. Langer a Professor at MIT, has helped start several biotechnology companies, has licensed or sub-licensed over 350 patents to different companies and runs one of the largest bioengineering research labs in the world. “I’m delighted to be working with Allevi and their excellent team,” stated Dr. Langer. We will work closely with Dr. Robert Langer as well as our other amazing advisors, Dr. Anthony Atala, Dr. Yu Shrike Zhang, and Dr. Aleksander Skardal to understand the best way to translate breakthroughs in our bioprinting community to begin to directly help patients at the bedside.